home → Loans → Loan Basics → What is a Personal Signature Loan? What is a Personal Signature Loan? A personal signature loan is a type of loan that will allow you to borrow money without the investment of collateral. This loan is a basically a personal guarantee from you to pay the amount that you borrowed. This type of loan is also referred to as an unsecured loan. 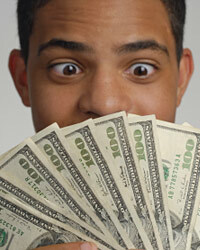 In order to get this type of loan, you are typically required to have a good credit score. Since they are not relying on any type of collateral, they rely on your credit history to make a lending decision. Since this type of loan represents a higher amount of risk, the lender is also going to charge a higher interest rate to you. This way, they can make up for the additional risk that they are taking on. Usually unsecured loans will also have higher late payment fees and upfront costs. Lenders who offers these loans almost always report credit ratings to the credit bureaus and if you do not repay the loan, your credit will be severely damaged. In addition, pay careful attention to the collection methods that the lender uses before you sign any documents. Many lenders will sue you and take you to court in order to collect any past due amounts.